This experience was immediately triggering for me. I felt insulted. Undermined. And not in the least bit surprised. Mazal had told us that he would react that way. She told us that no one wants to address these issues and would rather pretend that they do not exist, especially in the face of a predominantly white group of relatively affluent American law students. Something in that moment broke in me. I was reminded of meeting with my family in Jerusalem, who told me stories of my great grandfather’s choice to ostracize my grandmother for her choice to marry a Black man in 1967. I was reduced to tears because I understood at a deeper level what Mazal Bisawer represented for so many who go silently throughout their oppression because no one is listening. She taught me that the most important thing to do is to keep speaking out, even when the truth is uncomfortable. Meeting her was the best part of my trip. Thank you Mazal. Keep Speaking up and out and I will too. 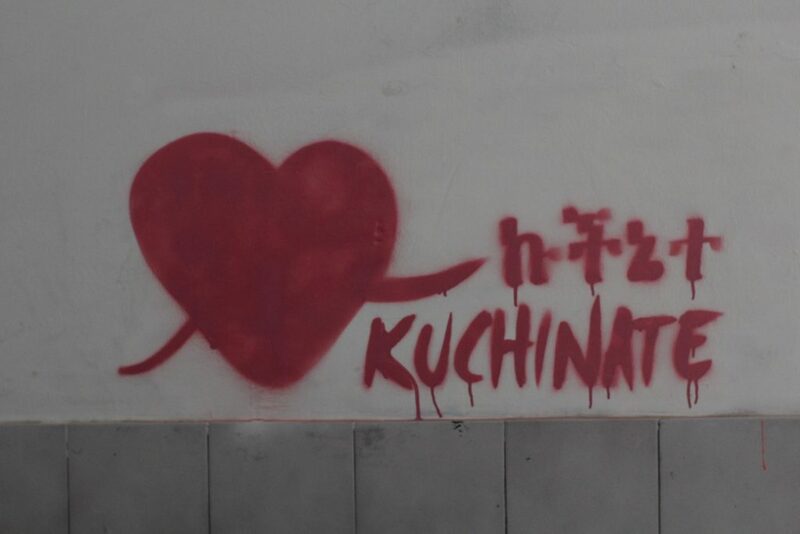 Kuchinate is the Tigrinya word for crochet. 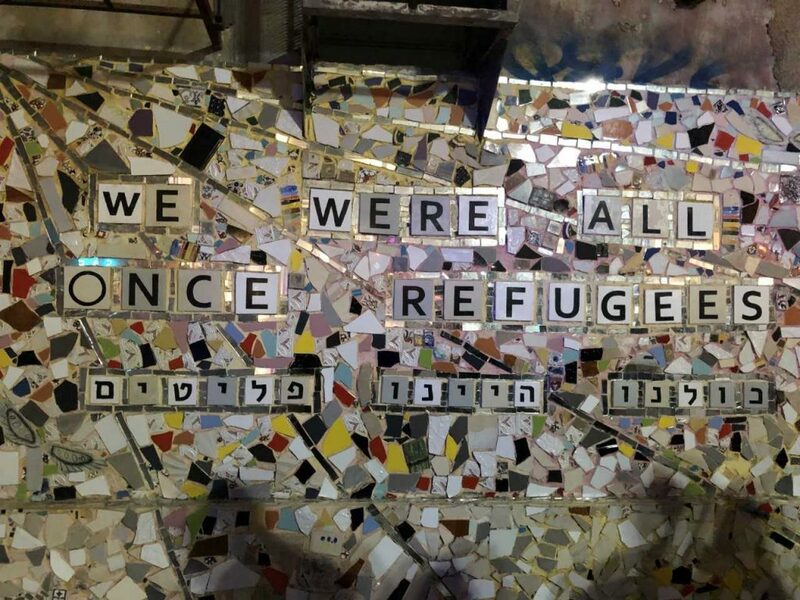 In Tel Aviv, Israel, the word describes a collective of African women seeking not only refuge, but empowerment, community and safety. We met a number of women from the Kuchinate during our visit to Tel Aviv. These women shared with us their harrowing stories of migration to Israel. But the pain of seeking refuge does not end upon their arrival. 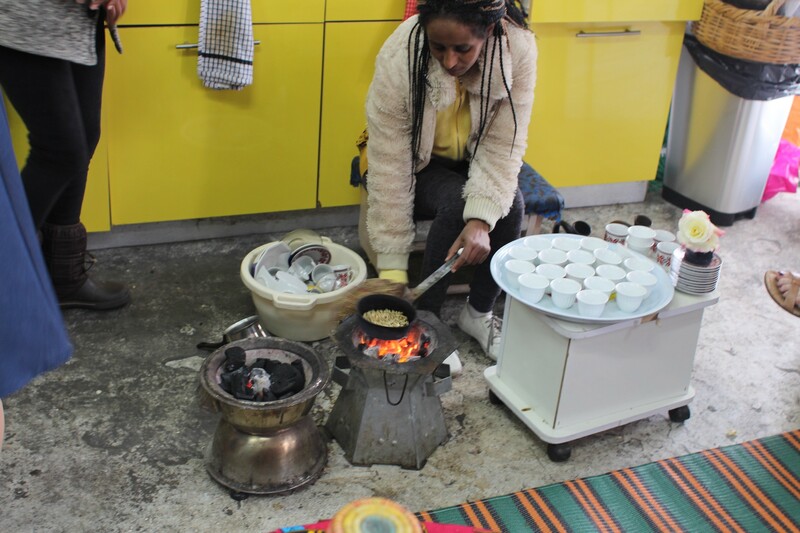 These asylum seekers settled in Israel continue to face the same struggles that refugees and asylum seekers across the world face: inaccessibility to basic services such as health care, housing, and employment. The women we met with shared their stories of working day in and out to keep their family afloat. They shared their deepest fears for their children, who cannot obtain citizenship either from Israel or from the country from which they fled. Student Terreea Shropshire was inspired after hearing one of the refugees speak.